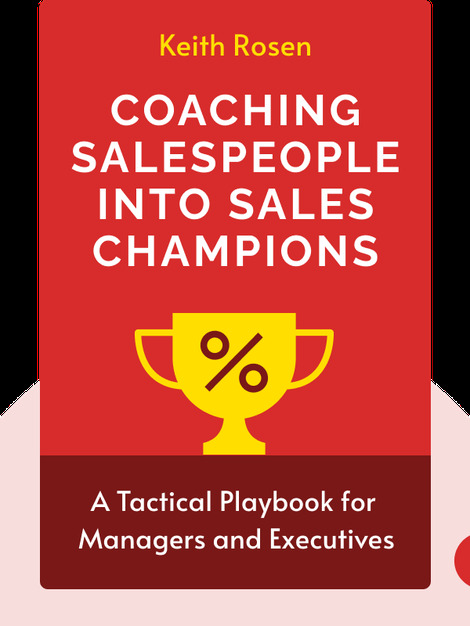 Coaching Salespeople into Sales Champions (2008) is the sales manager’s guide to coaching salespeople and learning how to build powerful connections among your sales force. You’ll learn how to empower your team, let go of your fears and become a highly effective sales coach. Keith Rosen is the CEO of Profit Builder, a company specializing in sales and coaching training. Inc. magazine and Fast Company named Rosen one of the top five most influential executive coaches. 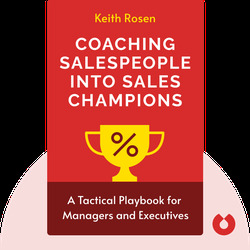 © Keith Rosen: Coaching Salespeople into Sales Champions copyright 2008, John Wiley & Sons Inc. Used by permission of John Wiley & Sons Inc. and shall not be made available to any unauthorized third parties.